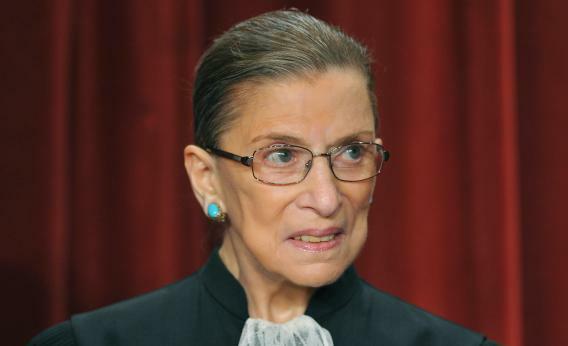 Ruth Bader Ginsburg clears up her views on abortion, population control, and Roe v. Wade. And clearing up a point of confusion—about her views on abortion—that I caused three years ago. Left unclear is whether Ginsburg endorses the eugenic motivation she ascribed to the passage of Roe v. Wade or whether she was merely objectively describing it. One senses that if Antonin Scalia had offered such a comment, a Times interviewer would have sought more clarity, particularly on the racial characteristics of these supposedly unwanted populations. To imagine that Justice Ginsburg would endorse eugenics as a motivation for supporting legal abortion, you have to be out to get her. I say that because this notion is so entirely at odds with her life’s work advocating for equal rights for women, especially poor women. That’s why it didn’t occur to me at the time. It’s a gotcha, and nothing more. And for the record, I’d be just as loath to impute support for eugenics to Scalia, because he’s also never done anything to suggest that he thinks that way. Still, yes, mea culpa—I should have sought more clarity, because that’s what journalists are supposed to do to clear up confusion, however misplaced. On Thursday I had a chance to do that, in an interview I did with Justice Ginsburg before an audience at Yale College. I read her back her 2009 quote and asked her what she meant by it. I asked if the idea of a link between concern about population growth and the court’s rulings on abortion turned out to be wrong. Justice Ginsburg said yes, stating the obvious: After all Roe v. Wade and the decisions that came after it are rooted in the right to privacy. Justice Ginsburg also made it clear today that the issue she had in mind when we spoke in 2009 was concern about population growth among all classes (and races). In the end, if that concern has a legacy, it’s in the promotion of contraception. But of course social conservatives never want birth control to be the focus of a discussion about reproductive rights, because on that ground they lose. Two (more fun) tidbits from today’s interview: Justice Ginsburg failed her driving license test five times. And if she hadn’t gone into law, she would have wanted to become a diva—an opera singer. But when she was a child in elementary school, and the robins were divided from the sparrows, she was always a sparrow.